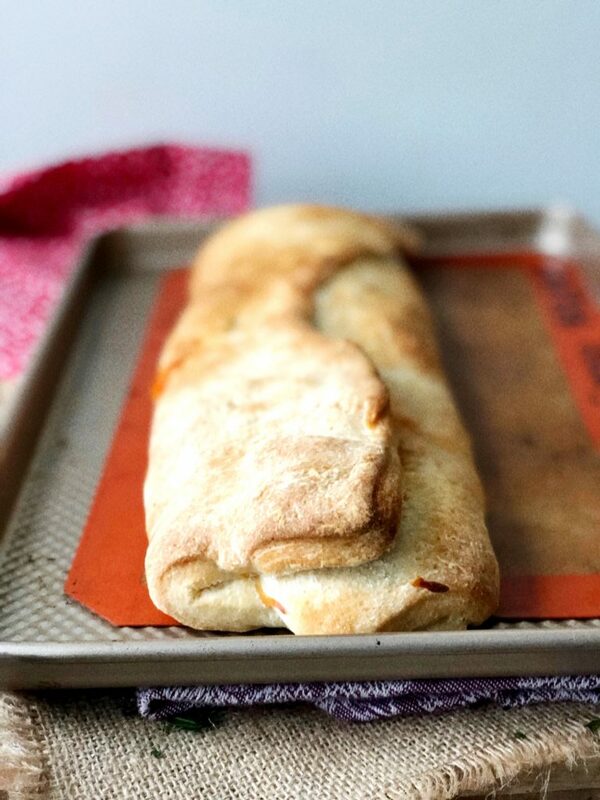 I’ve been working on our menu for the big game for a few weeks now, and when I asked my husband what he thought I should make, “stromboli!” was the first thing he said. Exclamation point included. I think secretly stromboli might just be his favorite food. I thought it was a great idea since stromboli is so easy to make and can be made ahead of time. So come February 2nd, I’ll be baking up a stromboli to be reheated and served again on Sunday. All about that make-ahead-party-prep! This is yet another you do you boo situation – don’t you love those?! 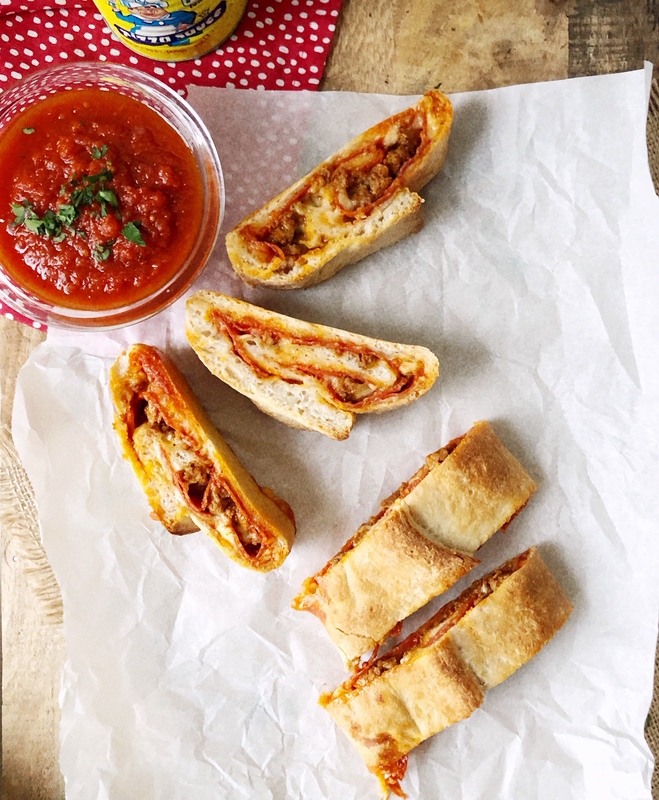 You really can put anything you want in a stromboli. This one I made with chorizo and pepperoni, honestly, by accident. I thought at the grocery store I grabbed a package of Italian sausage and it ended up being chorizo. It worked out, though! We loved this combination, definitely for the spice-lovers. As long as you don’t pre-slice your stromboli, it will be really easy to reheat. You don’t want to cut it and let all of the fillings out!